The selection of special interest vehicles in the parking lot is often fantastic. 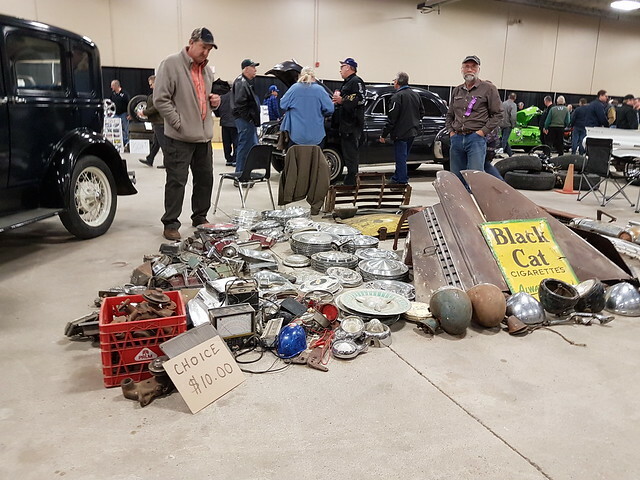 This year it was a little thin due to the it being a cold, damp day but several brave owners still brought out their vehicles. 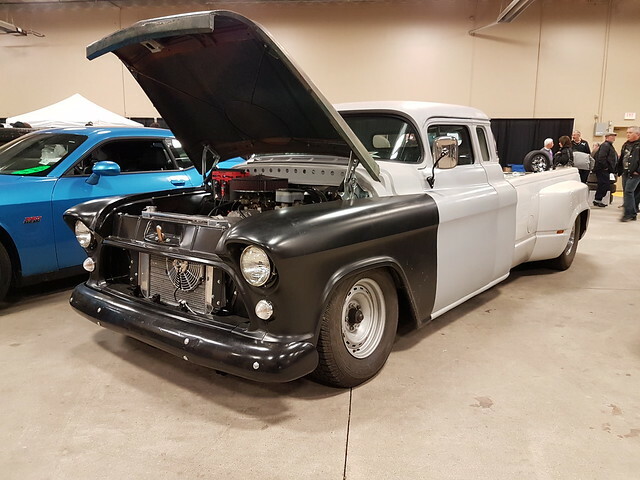 This hot rod was labelled the Hillbilly Hauler. 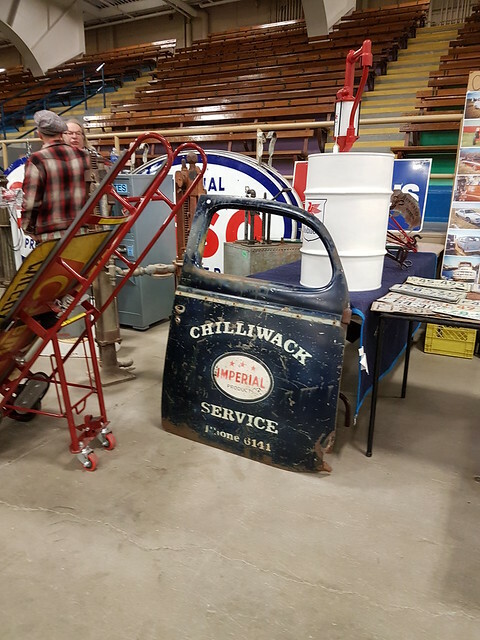 It is certainly a driver for someone as it was fitted with winter tires. I believe the body is a 1934 Ford. 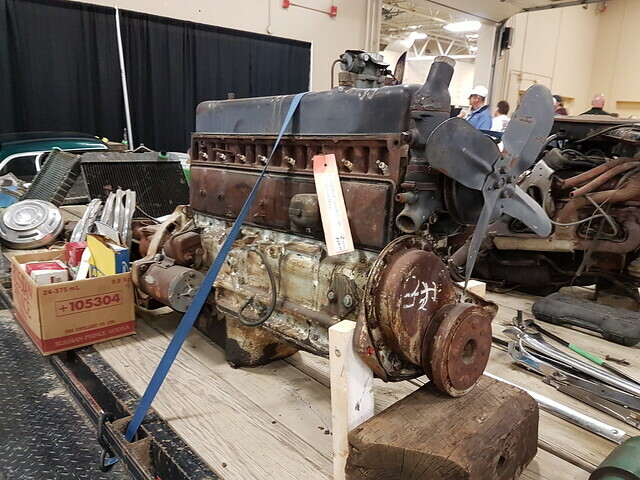 Looks like a 4.3L GM V6 engine. 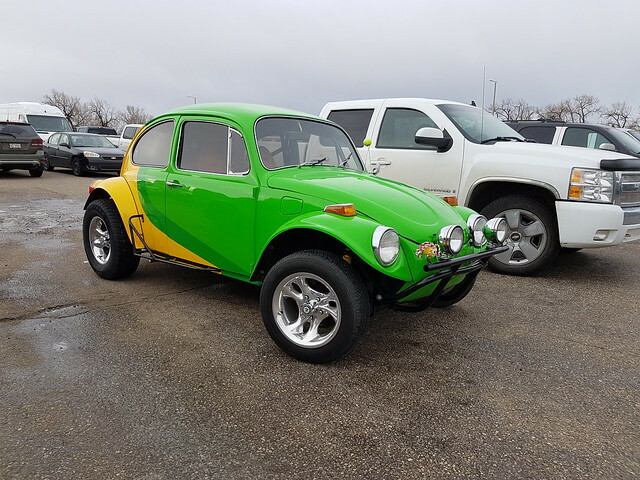 A very colourful Volkswagen based Baja Bug. 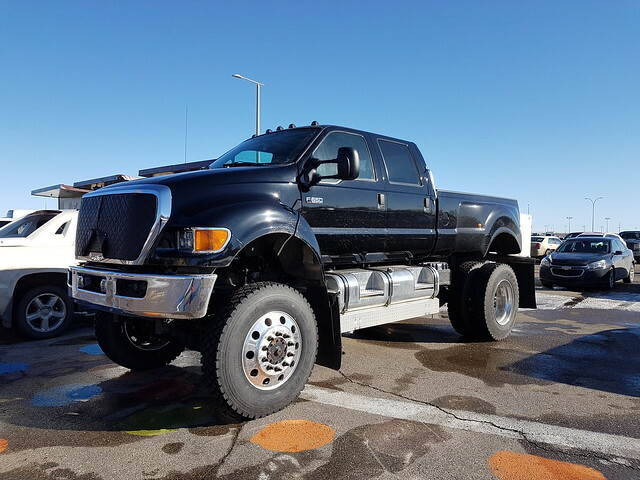 This massive Ford F650 pickup truck makes a statement. 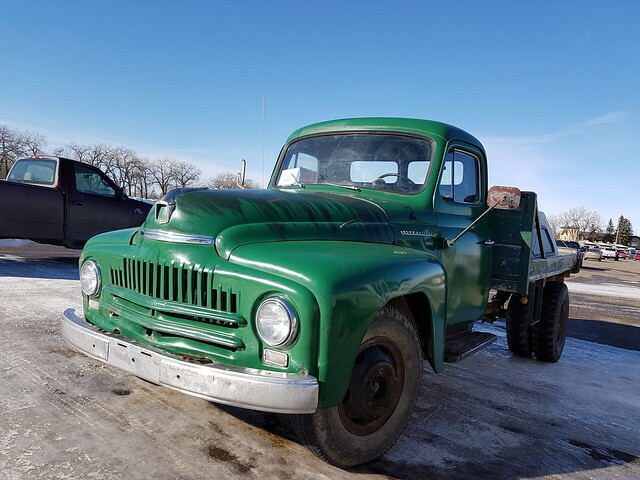 There is always a few vehicles for sale including this 1951 International L-130 truck. Body wise it appeared to be in good shape. 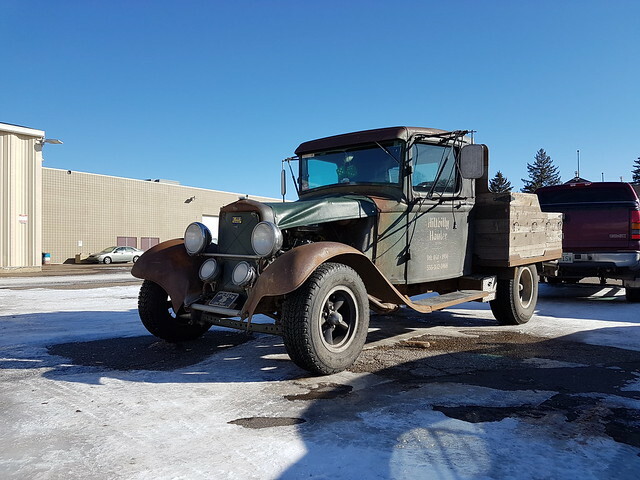 It was listed at $1800 but needed an out of province inspection. 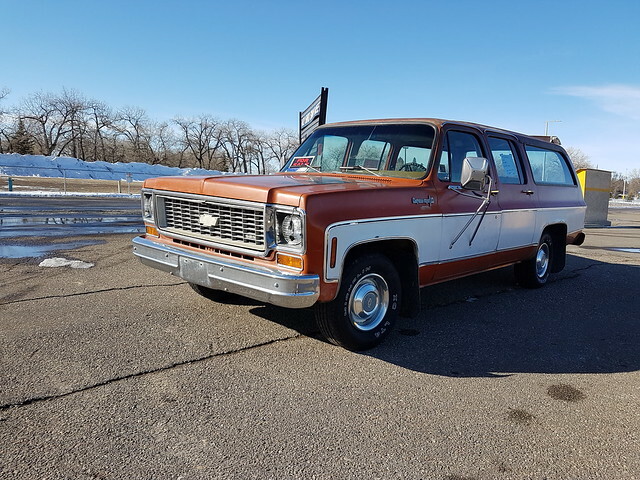 This 1974 Chevrolet Suburban had a 454 big block and was offered at a similar price. 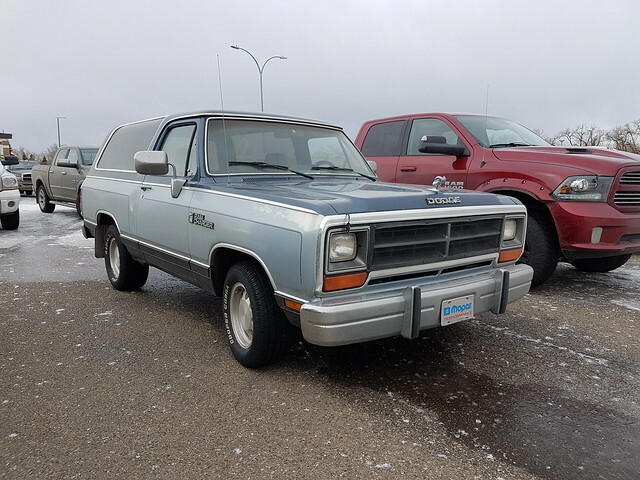 Continuing our truck and suv theme there were two very similar Dodge Ram Chargers. Moving inside many vendors had their wares on display. 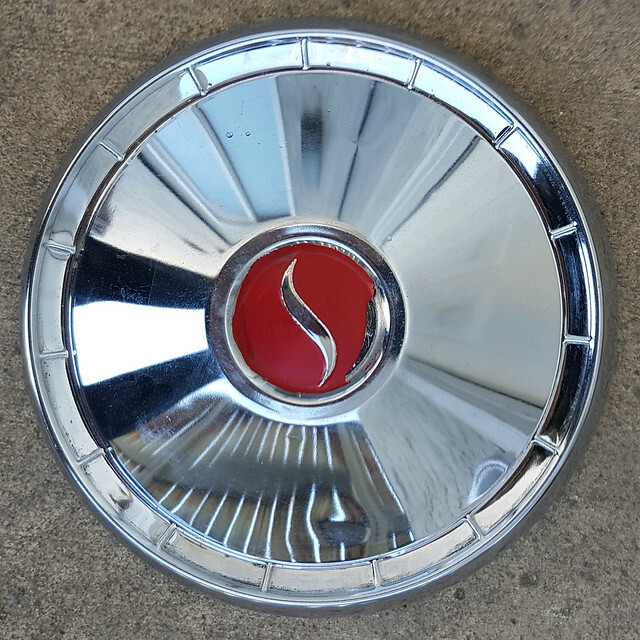 A few hub caps for sale here. 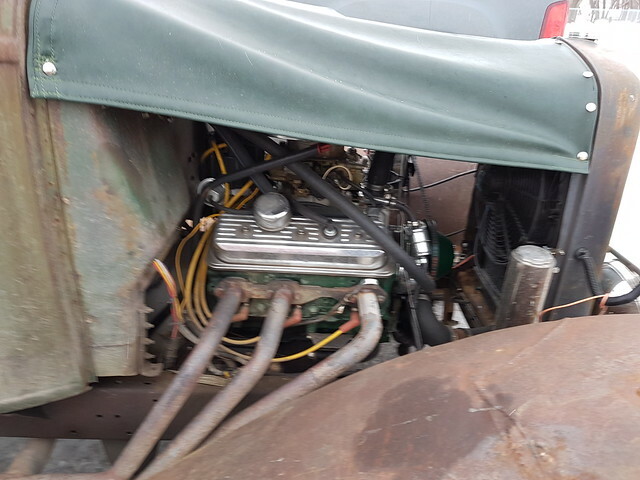 A few classic engines were also on offer including this 1940 Buick 248 cid straight eight. 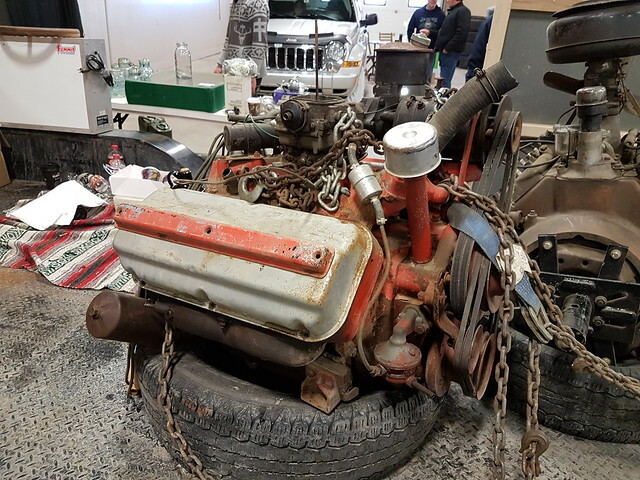 And this Chrysler Hemi V8. 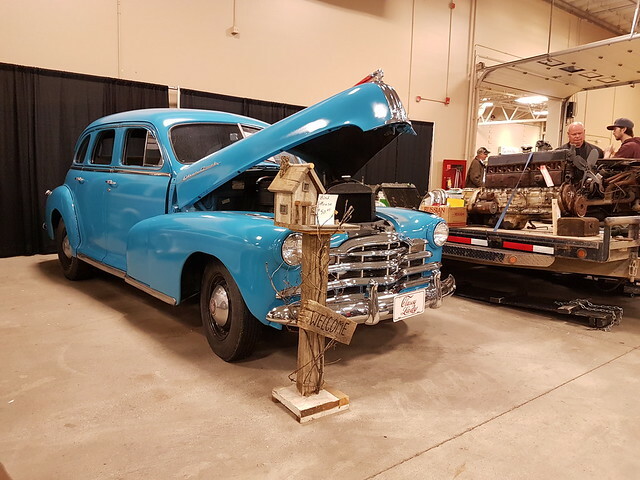 Cars for sale inside included this 1948 Pontiac Silver Streak. 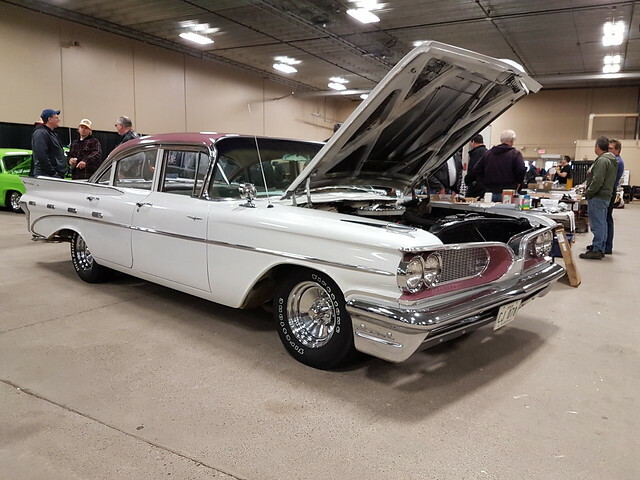 Canadian market only 1959 Pontiac Parisienne which means Chevrolet mechanical bits. 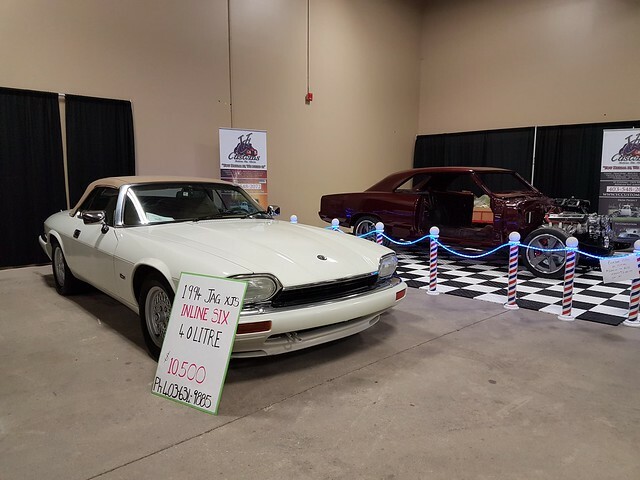 It was a V8 car offered at $8,900. 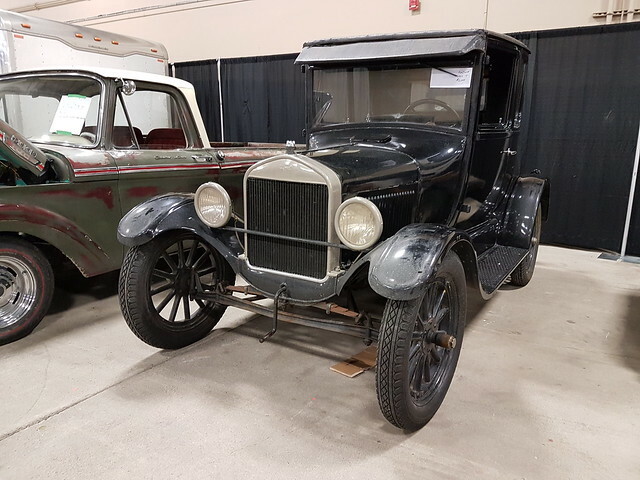 My pick to take home would have been this 1927 Ford Model T for $6,000. 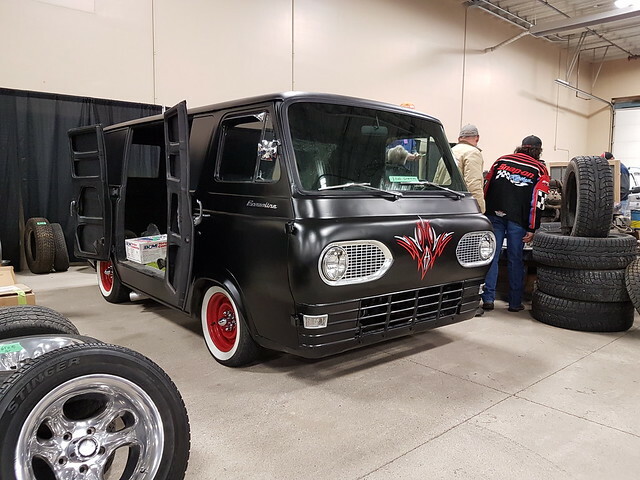 Looked to be an older restoration that had maybe had been sitting a while. 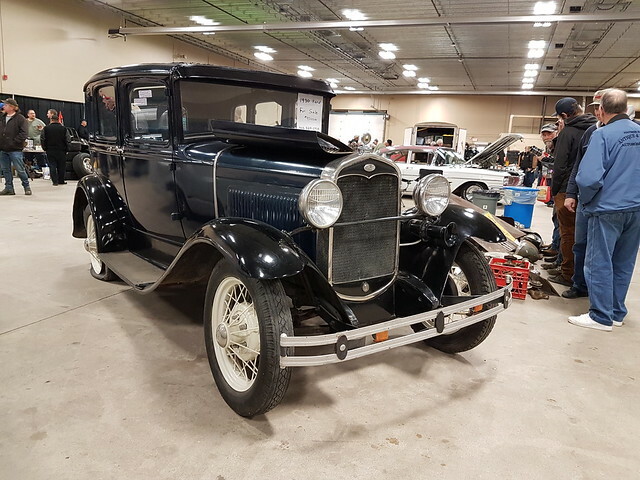 Slightly newer but equally tempting was this 1930 Ford Model A. 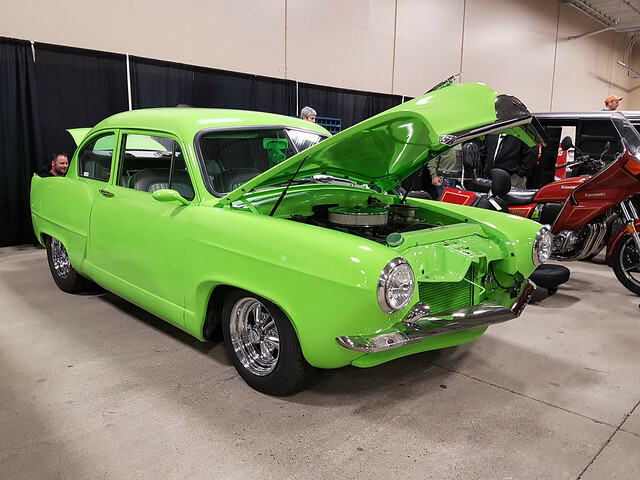 Very bright hot rodded Henry J. Maybe just a shell? 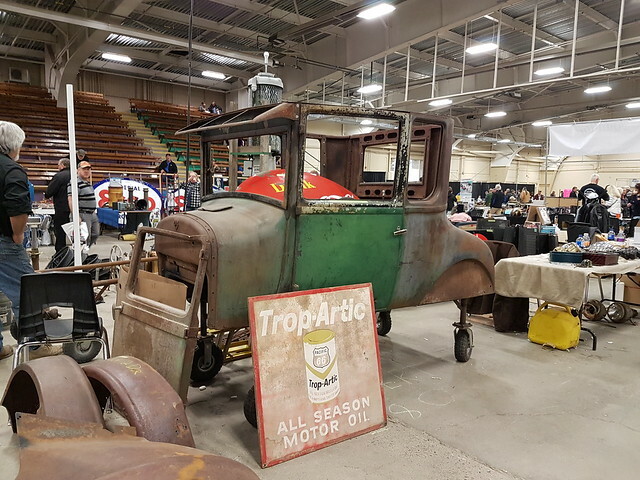 Another 1927 Ford Model T.
Hot Rod truck – 1956 Chevrolet pickup with a supercharged 454cid V8. 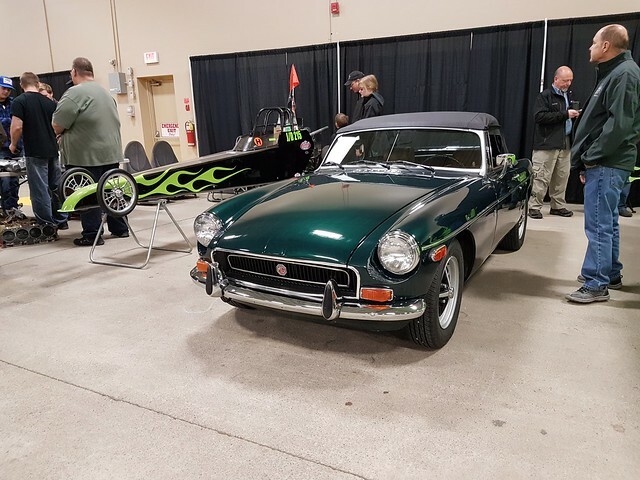 The lone Brit of the day was this 1971 MG B. I do not believe the colour was original but it looked sharp none the less. I have always wanted to build a vintage speedster style car. 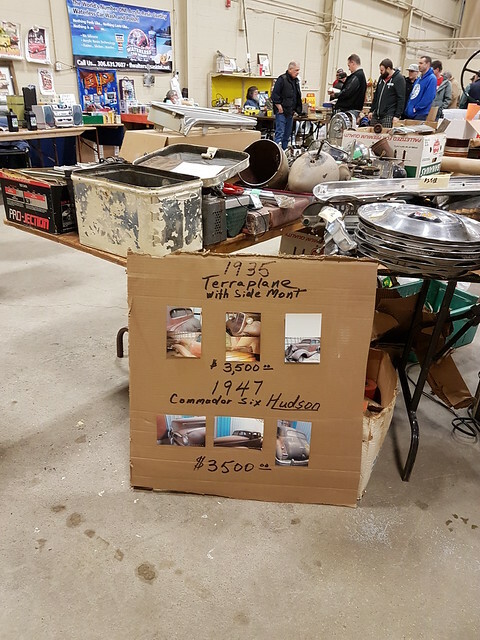 One vendor had a great collection of parts on display. Sadly this time was not the moment to make a purchase as I would need a bit more garage space. 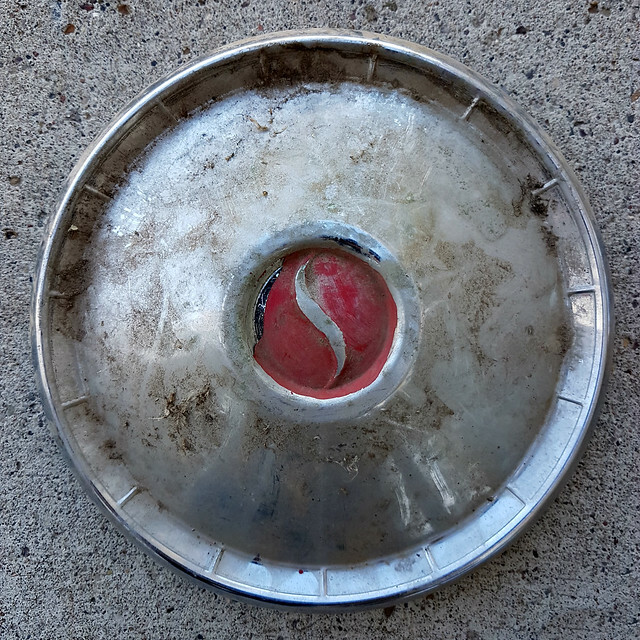 I did buy a few little things including three mismatched Studebaker hub caps. They were offered very cheaply and I might turn the best on into a clock. It cleaned up quite nicely. Rear engine Skodas were sold in Canada for a short time. I have always wanted one but I am likely about two decades too slow as they are very thin on the ground these days. 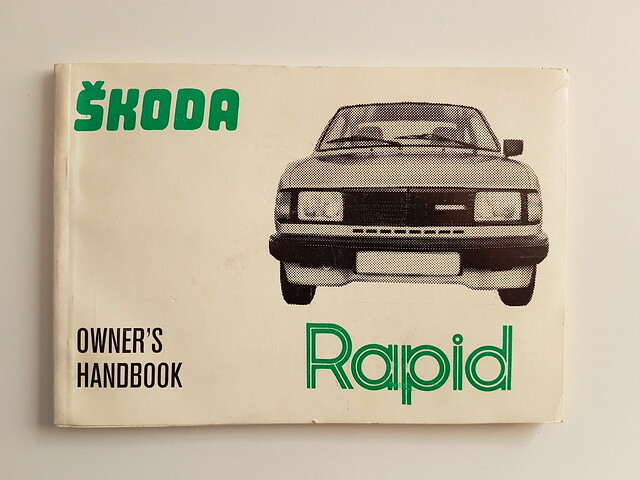 I did get an owner’s manual which is likely as close as I will get to Skoda ownership. 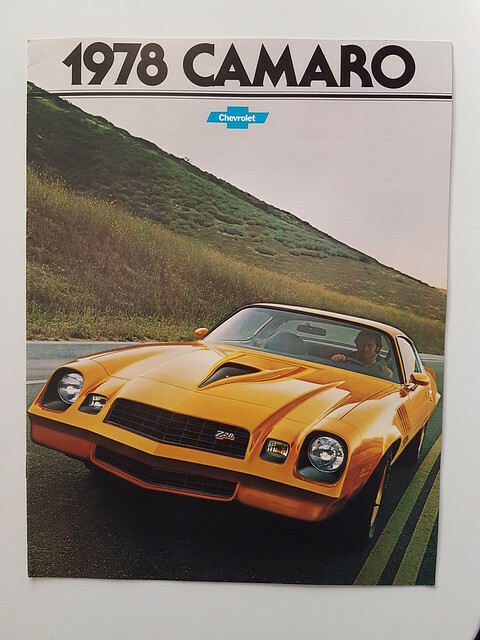 I also picked up a 1978 Camaro brochure. a ’78 Z28 was the first car I bought with my own money so I have a soft spot for them. A few more photos here. hopefully next year the weather is a little warmer to bring out a more full parking lot selection.